These 3 erasers have become my absolute favorites for pencil drawing. If you need to lighten or totally eliminate your pencil marks, as well as being able to refine detail, then I've got the erasers for you. What can I say... I really love my Early Birds who like to plan out they're gifties well in advance so that some of the last minute-type folks (like me!) can still snag a custom portrait at the eleventh hour. If you’d like more info on the commissioning process check out this lil write up here. 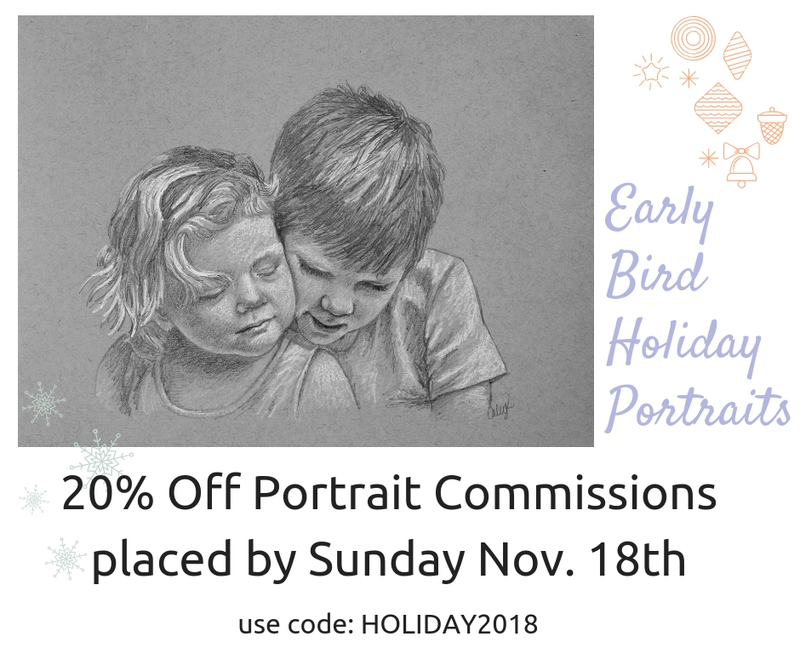 PS Want to make sure you never miss a notice when my portraits are on special? Pop right over here! 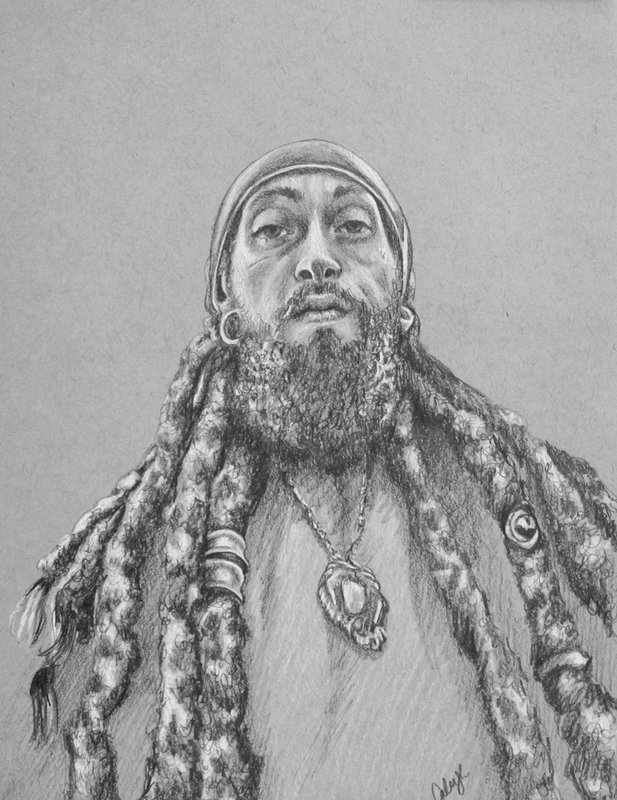 Today I have a pencil portrait drawing timelapse demo for you of one of my favorite active artists, Octoplum. She is a unique character both inside and out and creates the most incredible little body positive figurines, art dolls and drawings. Taking a great reference photo is surprisingly simple. I have people asking me what makes for a good photo all the time through my custom portrait business so I figured I'd share some super easy tips with you today as well. 90% of your success will come from shooting in proper lighting, which I'm going to show you how to do using nothing but natural light with any digital camera. There are four main things to remember: lighting, location, position of the subject, and focus/ focal point. I'm going to go over all four in an easy to understand way. Feel free to drop me a comment if you have any other questions about my portrait reference methods! And if you'd like a little more info on getting your own portrait drawn by me check out my other website here. Welcome to my pencil portrait drawing timelapse of the amazingly fierce Bobby Aragon! I really enjoyed creating this piece featuring the interesting upward angle and his super gnarly dreads. HI friends! It's so lovely to be able to make art simply for the sake of capturing beauty, and sometimes I get so caught up in other things that I forget to make time to just enjoy the process for myself. I don't think I've done a portrait drawing in months just for fun so here's a super casual lil vid featuring my drawing of Yasmine set to some really fun French-style remix music by a lady who is generous enough to let YouTubers use her tunes for our vids, Dyalla Swain. Hope you enjoy watching as much as I enjoyed relaxing and drawing! Howdy friends! Remember last week I shared the whole portrait commissioning/ drawing process video that I'd been working on for my custom portrait website? Well today I am sharing another piece of that easy commissioning process - 'Choosing a Great Reference Photo' - Yay! The most important thing about having a custom piece of artwork created for a client is that the process should be super simple and really exciting for them so anything I can do to reach those goals is key! So here's a little teaser of my fancy shmancy new step-by-step guide to choosing an excellent reference photo. Click the pic (or right here) to see all the details. Hi friends! I have been working super hard behind the scenes lately to polish up my custom portrait drawing website in order to make choosing a reference photo as well as commissioning a portrait as easy and uncomplicated as possible. It's important for me to learn how to be very clear so my clients get most of their questions answered right off the bat, instead of having to email back and forth to get the ball rolling. Don't get me wrong, I am always thrilled any time someone contacts me in reference to a portrait plus I actually prefer to help my clients choose the very best photo to use, but folks like to know exactly what to expect right off the bat. And who can blame them? I'm the same way so I don't like to make potential clients wait for an email response to have all the information they need when deciding to commission a piece from me. Just a short 'n simple timelapse demo drawing of this adorable little boy I created for a client out of pencil and conte. Enjoy!